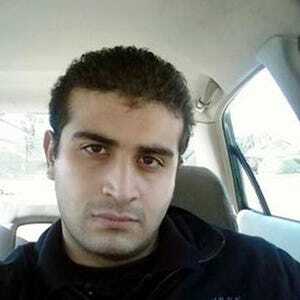 Omar Mateen used a .223 caliber AR-type rifle and 9 mm semi-automatic pistol to carry out the deadly shooting on Sunday. He had purchased both legally. In the wake of the massacre, tensions have flared over gun laws and gun rights. 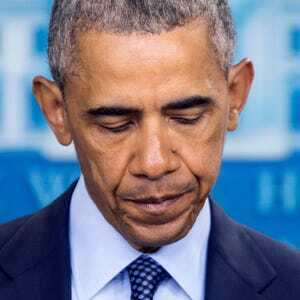 President Barack Obama spoke out in favor of increased gun control. “We are also going to have to have to make sure that we think about the risks we are willing to take by being so lax in how we make very powerful firearms available to people in this country. And this is something that obviously I’ve talked about for a very long time,” he said Monday. Mateen was able to pass a background check and legally purchase a gun from a Port St. Lucie Florida gun store, according to the FBI, even though he had been investigated for possible terror ties in 2013 and 2014. Cord Byrd, a Florida attorney who specializes in Florida gun law, said that is the real problem. He said that the issue is not limiting the number of guns, but limiting the number of suspected terrorists who can purchase them. “This shooting happened in a gun-free zone. We need to stop advertising to the criminals where the unarmed targets are,” said Byrd, who is also a member of the National Rifle Association. The Bureau of Alcohol, Tobacco, Firearms and Explosives investigated the Port St. Lucie Shooting Center following the incident. “An evil person came in here and they legally purchased two firearms from us, and if he hadn’t purchased them from us, I’m sure he would have gotten them from another local gun store,” said Ed Henson, St. Lucie Shooting Center owner. According to a study by Quinnipiac University, 93 percent of Americans support gun background checks, and most also want a ban on assault weapons. “Now we need to go back to the drawing board and say, ‘This has not worked, and let’s put something in place that will make us safer,’” she said at a press conference Sunday. Imam Muhammad Musri, president of the Central Florida Islamic Society, called for a ban on assault rifles altogether. U.S. Sen. Bill Nelson, D-Orlando agreed. Nelson spoke about gun control at an event where President Obama met the families of victims and survivors of the Pulse shooting that was held at the Amway Center on Thursday. "At the end of the day, we need to ban assault weapons. This fellow had the equivalent of a souped-up M16 military rifle," Nelson told reporters. What do the 2016 presidential candidates think? On Monday, Clinton spoke about the shooting and about gun control at a speech in Cleveland. “These types of weapons, without a doubt, should be banned,” Sanders said Tuesday on Twitter. In the past, Trump has expressed support for the Second Amendment, saying that “gun-free zones are a catastrophe” and that “I am against gun control.” However, in 2000, Trump wrote in his book The America We Deserve that he supported an assault weapon ban and longer waiting periods to buy guns.